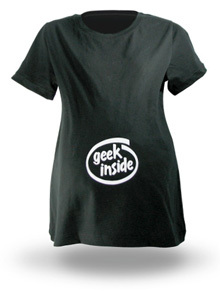 The Geek inside maternity short will set you back $17.99 and is guaranteed to cause a chuckle or clout. I must get one of those to my wife, she’s 8 months pregnant! Congratulations Nick, if they ship to Brazil I’d be happy to buy you one.